I shared my front door and front facade with you. Now, come on in! 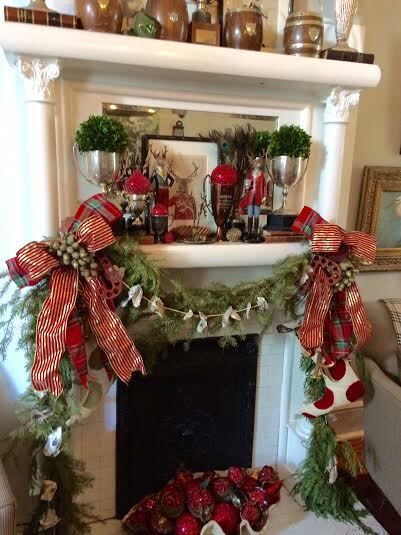 Today, I'd like to share my parlor mantle. 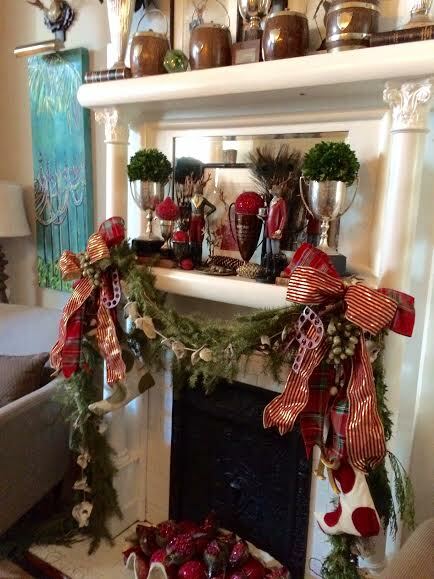 The mantle is one of my favorite places to decorate. 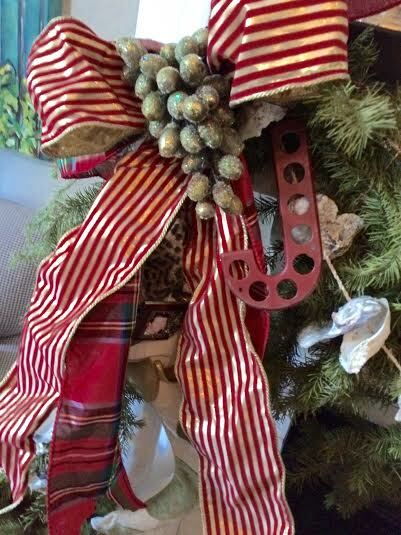 It is a focal point in the parlor and is fun and easy to change up seasonally. The design started with this deer print purchase from Sotre on Magazine Street. I just loved the deer in a warm sweater. The painting is actually on an old book page. I fell in LOVE. And from there things just fell into place. 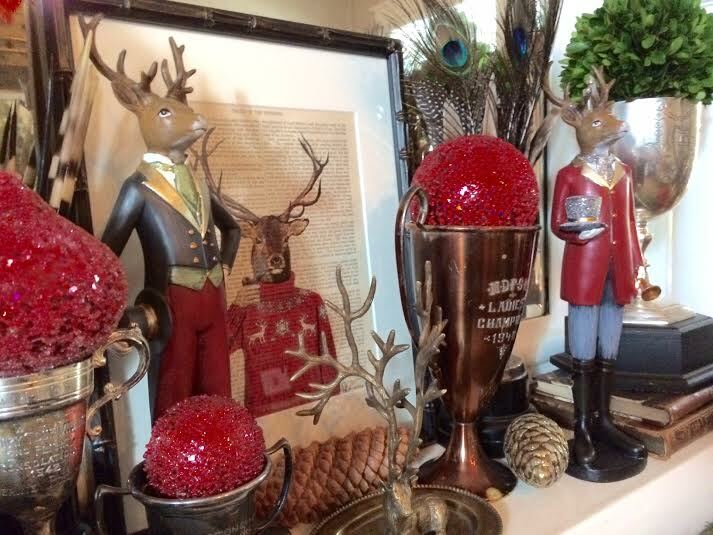 I found these dapper deer while flipping through a copy of Grandin Road magazine. They are sold in sets of 2, and I adore them too. I added my collection of vintage trophy cups and filled each with boxwood orbs, glittery red ornaments, and other curiosities. The mixed live greenery, stockings from Ballard Designs, vintage letters, and tartan ribbon make for an interesting look. Red orbs sit in the clam shell at the base of the mantle. I just love this season. 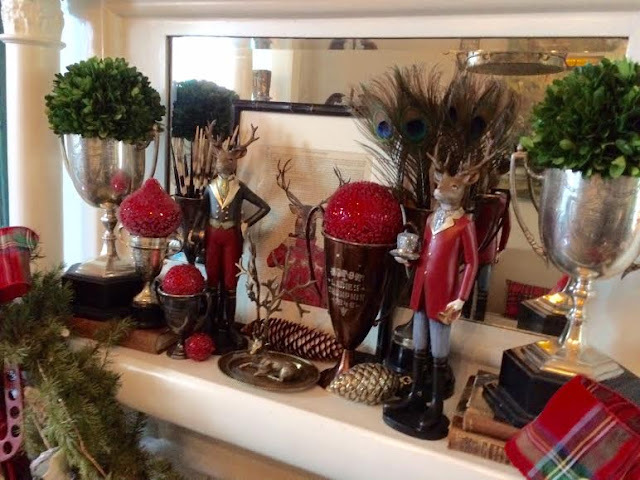 Stay tune for more Decking the Halls with Uptown Acorn. This mantle is fabulous! Of course it does help that you have such a magnificent one to begin with. 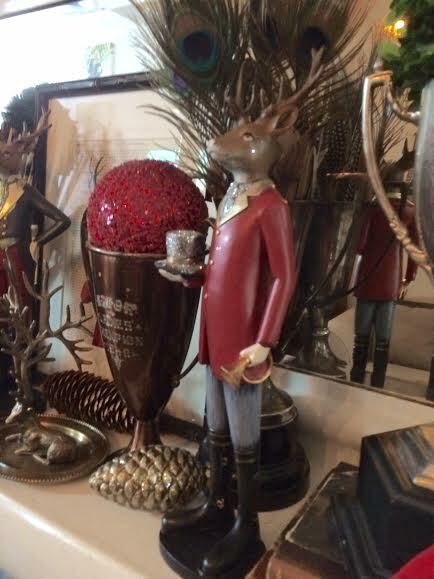 I love all of your deer accessories and the trophy cups. This is totally my style. Love your mantel Ron. Gorgeous. Gorgeous! 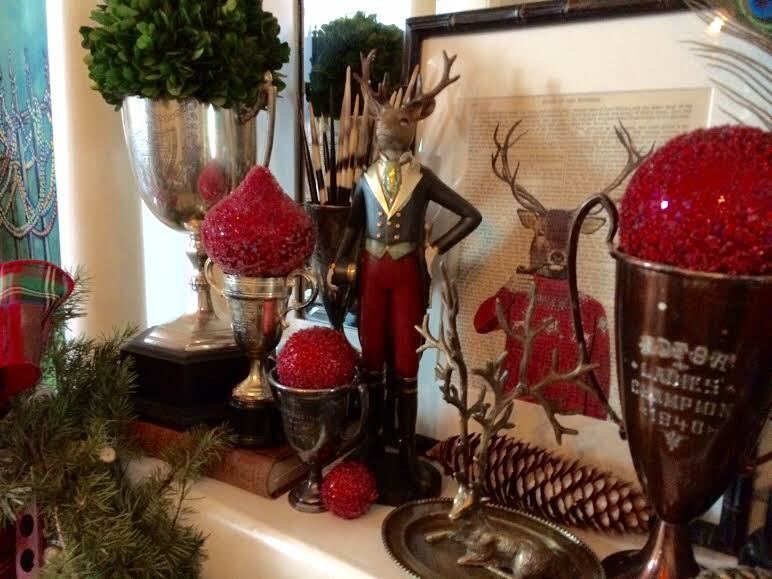 I love those dapper deer and the red orbs in the clam shell pop against the gold so beautifully. You just gave me a few ideas. Thanks! Love your growing deer collection Ron, they are just so astute on your mantel! I also love the red orbs inside the clam bowl the most!!!!! 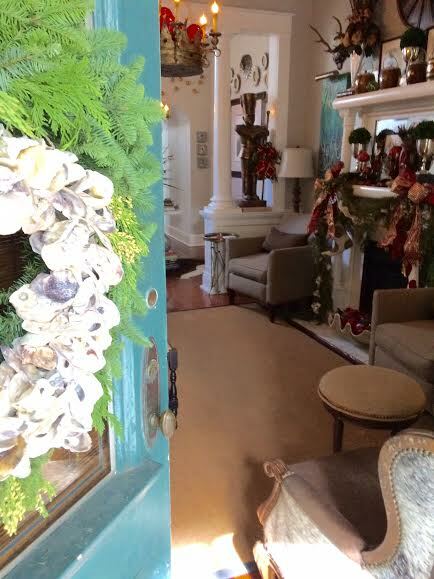 Hope you can stop by the blog tomorrow to check out my Home tour!and join the first Holiday Home tour Link Part I will be co-hosting on the 16th!!!! 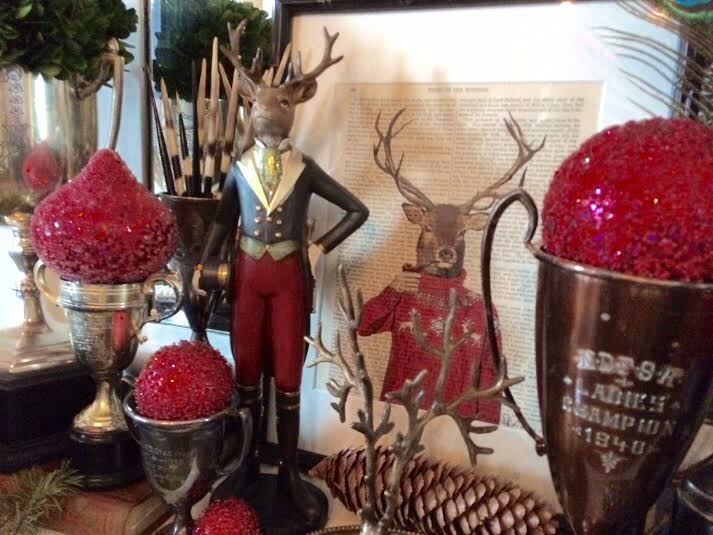 Love the dapper deer - and all the deer. Very festive. You always do such a beautiful job with your home. You have such a beautiful home. I love all of your accessories that you have collected. I love , love, love it all. Your new print and your dapper deer are fabulous. 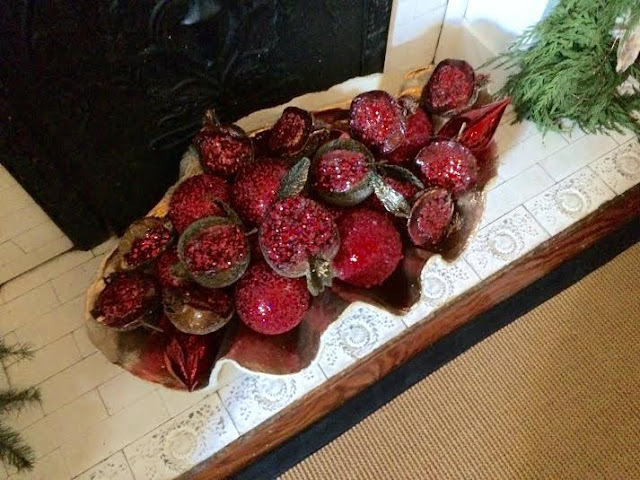 Beautiful mantel. How gorgeous! 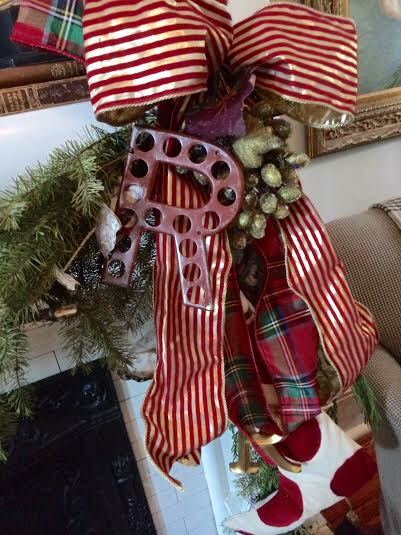 I love that beautiful ribbon you used on your garland. 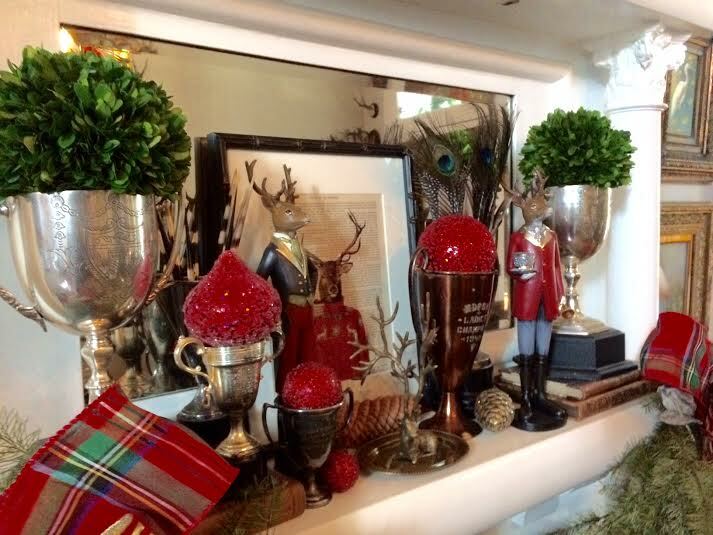 Your Christmas decor is so rich and luxurious but also playful at the same time. love this, ron! the dapper deer are my favorites!